Russian Army Cossack White Rabbit Fur Ushanka Hat with Soviet Army Soldier Badge - Kids, children size. Boys or Girls. Natural rabbit fur hat. Genuine Russian "Ushanka". Small size. Fits children or some ladies wear size 54 also. 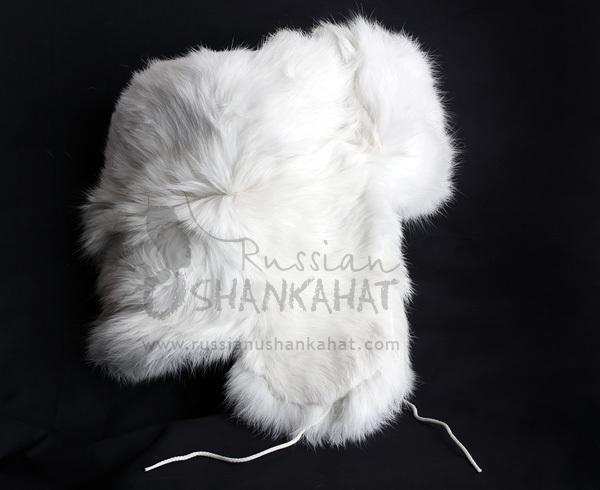 Russian soft rabbit fur hat with ear flaps for cold weather. "Ushanka" literally stands for "ear-flapped hat". 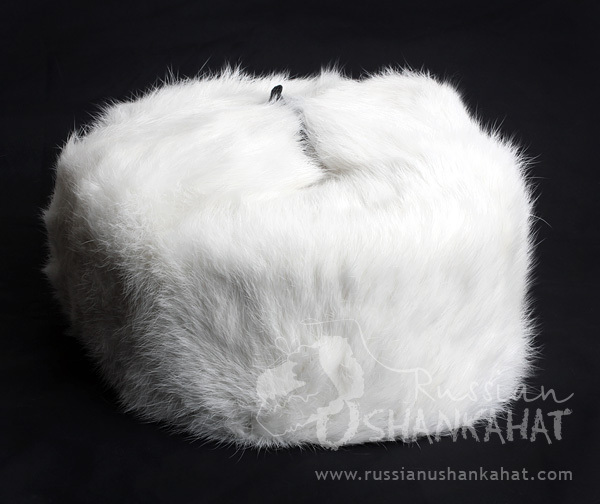 It is a warm and cozy hat, perfect for protecting from Siberian winds and snow storms. Warm, comfortable, and stylish Ushanka can be worn with earflaps tied on top or pulled down for extra warmth and comfort. One more variant - tied behind head so cheeks are open while neck is covered. Quilt lining is provided inside for your warmth and coziness. Great for cold days outdoors, skiing, snowboarding, sledding, hunting or anytime you need to keep warm and in style. An ushanka is the hat that will keep you warm and cozy throughout the winter and make you stylish and fashionable. Ushankas are verified by centuries of use during severe Russian winters and effectively cope with any weather conditions. Just tie the ear-flaps under the chin or on the head back and you will be protected from hard frosts and cold winter. There is really no other hat created that will so comfortable and warm. It can be both a very stylish accessory and an unusual and interesting gift for your friends and relatives.